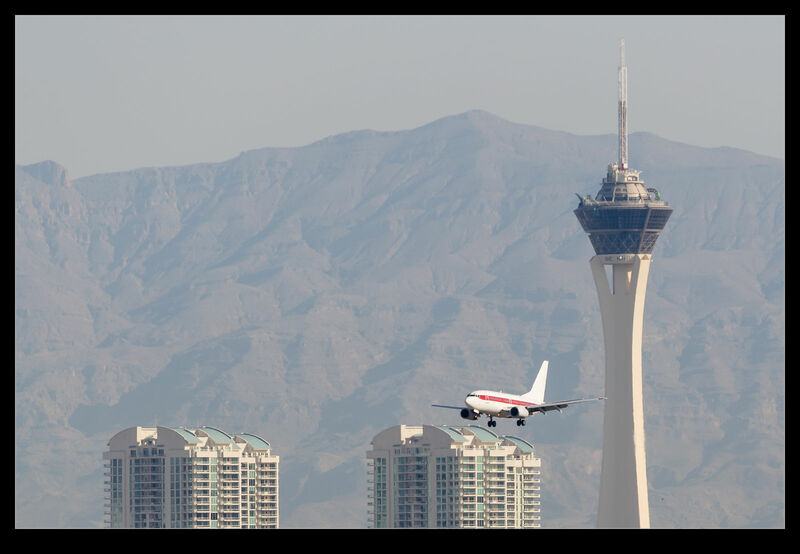 Any time at McCarran is likely to include some Janets. 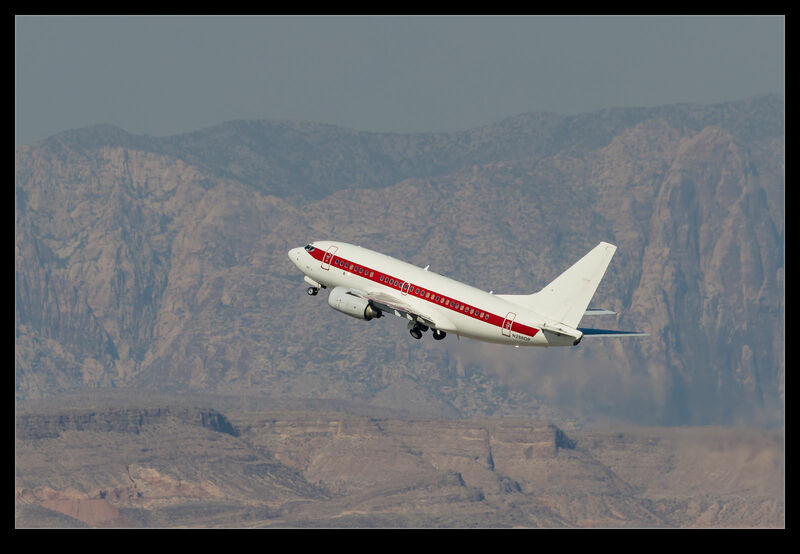 The use of the 737s to transport staff to the various locations in Nevada at which spooky things happen is well established and you can see the schedule online if you want. They have moved on from 737-200s to 737-600s but the service is much the same. They may be 737s but the spooky nature of the operations makes them more interesting than the average airline. 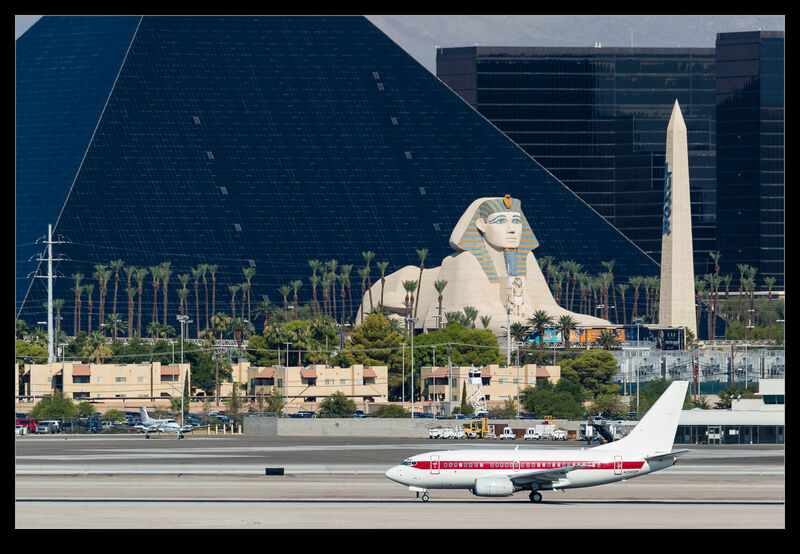 This entry was posted in aircraft, civil, military, photo and tagged aircraft, airliner, airplane, civil, janet, jet, KLAS, las vegas, mccarran, military, nevada, photo. Bookmark the permalink.